Ten Four & Bonny Dure Productions - 93 min. 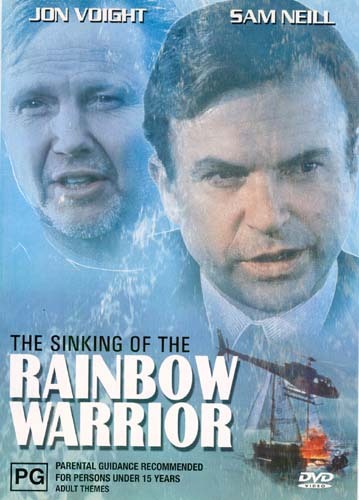 Cast: Sam Neill, Jon Voight, Bruno Lawrence, Kerry Fox, Tony Berry, Martyn Sanderson, Lucy Lawless. Crew: Writers: Marin Copeland, Scott Busby; Photography: Warwick Attewell; Original Music: Paul Buckmaster, Steve Tyrell; Producer: Sam Strangis; Director: Michael Tuchner. 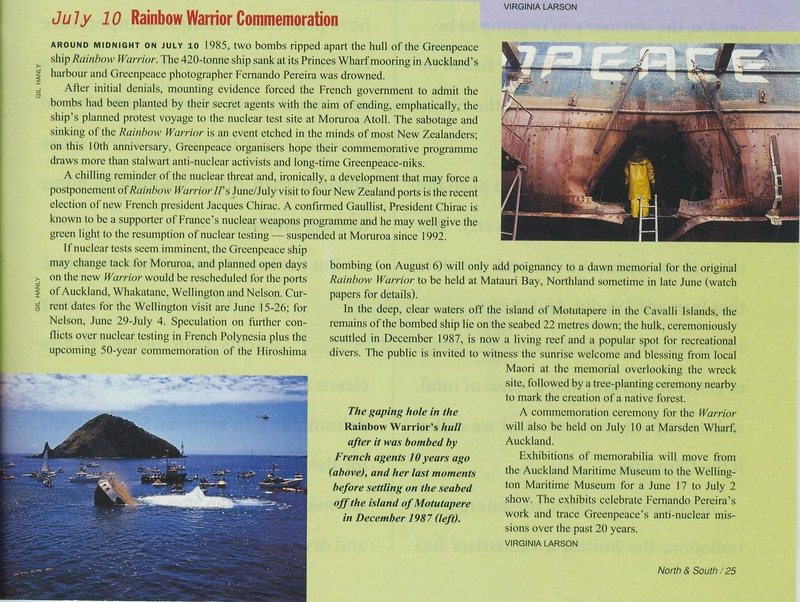 Peter Wilcox (Voight), as skipper of the 'Rainbow Warrior', a Greenpeace ship, docks in Auckland, July 1985, preparing for a protest against French nuclear testing in the south pacific. When a bomb rips open the vessel, killing a crew member, he must convince the police superintendent (Neill) that this is an act of terrorism. Determined not to allow outside forces to threaten their harbor, the police embark on a pursuit of the persons responsible. The events that follow nearly bring down an allied nation's government. As of July 2009, New R4 PAL DVD copies are difficult to locate as this one is now OOP. You might try ebay for used copies but expect to pay at least $20us. Used NTSC VHS copies can occationally be found for under $10us. It is presented in its original 1.33:1 format with DD 2.0 stereo Spoken English audio. There are no extras. Starting 23 April, 2019, a NTSC Region 1 DVD is available from North American resellers for about $15us. As with the previous PAL R4 DVD, it is a 1.33:1 format with DD 2.0 English audio. With the exception of four unrelated trailers, there are no extras.